Christmas 2012 comes too early for the definitive story of the England rugby team's astounding victory over the All Blacks at Twickenham to make it into print but while that one waits to be written there are plenty of contenders for the rugby fan's wish list. They range from the year's bestseller, Jonny Wilkinson's Jonny: My Autobiography to Behind the Lions, a collection of stories that will whet the appetite for next summer's tour of Australia by the British and Irish Lions. Wilkinson's story, ghost written by Times journalist Owen Slot, made the longlist for the William Hill Sports Book of the Year for 2012, both for the quality of the writing and the depth of the England fly-half's soul-searching. Wilkinson has been a tortured soul, wracked by self-doubt, fearful of the future to the extent that, even in his career-defining moment, when his drop goal sealed England's historic World Cup victory in 2003, he was soon agonising over whether he could ever live up to the expectations he had made for himself. The disappointment of losing the 2001 Lions series against Australia in the final minute of the final Test ranks high among Wilkinson's several disappointments, which has led him to announce that he would relish the chance to correct that piece of unfinished business next summer, as a prelude to which four of the most esteemed British rugby writers have pooled their talents to create a unique history of Lions tours. Behind the Lions: Playing Rugby for the British and Irish Lions (Birlinn) is the fruit of the combined efforts of Stephen Jones, Wales-born rugby correspondent of The Sunday Times, Irishman Tom English, the chief sports writer for Scotland on Sunday, Nick Cain, the English chief writer for The Rugby Paper, and freelance rugby journalist David Barnes, a Scot. The four tell the story of the Lions through the eyes of the players, having interviewed scores of former tourists to uncover the passion, pride and honour associated with wearing the famous red jersey, telling tales of heart-breaks and highs, painful moments and funny ones, some laced with poignancy, others inspirational. The 2013 Lions tour to Australia is also at the top of Sam Warburton's ambitions for the next 12 months, along with retaining the Grand Slam for Wales. Warburton details his first year as Wales captain, having set a record as the youngest player to lead that country in 2011 at 22 years and 242 days, in Refuse to be Denied: My Grand Slam Year (Simon & Schuster), which explains that his reluctance to accept the captain's role was so deep that he felt he survived the 'ordeal' of his first game in charge, against the Barbarians in May 2011, only by reassuring himself that he would not be asked back. In the end, he led Wales to the semi-finals of the World Cup, where his own tournament ended with a red card, and to the nation's third Six Nations Grand Slam in eight years. Written with the help of Sunday Telegraph journalist Steve James, Refuse to be Denied has been described as an honest and insightful look at a year in an international rugby player’s life. Welsh rugby fans eager to relive Grand Slam glory will enjoy Trinity Sport Media's behind-the-scenes record Inside the Camp, an official Welsh Rugby Union book which follows the Wales team from their pre-tournament training camp in Poland through every match, with previously unpublished photographs. TSM's exclusive access allowed their cameras into every corner of the team's life, on and off the field, and there are images of the players in training as well as matches, and in their relaxation time away from the intensity of competition. The Wales rugby team is the focus of another new offering, Wales Play in Red: The Rugby Diaries of Carolyn Hitt (Gomer). Since you ask, Carolyn is a columnist for the Western Mail who as a child yearned to be allowed to go to the Arms Park with her older brothers and then found her love affair with rugby reignited by accident, in 1999, when she was asked to write about the World Cup, in the classic style of old-fashioned male editors, 'from a woman's viewpoint'. 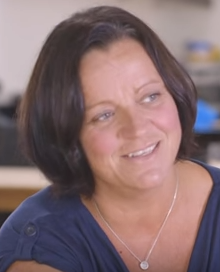 She went on to cover four World Cups, two Lions tours and a dozen Six Nations tournaments and became the first woman to be named Welsh Sports Journalist of the Year. Known for the warmth and wit of her writing, she is also an accomplished television presenter. Wales Play in Red draws on the best of Hitt's sports writing and tells the story of Welsh rugby since that 1999 World Cup to the present day, charting the peaks of success and the lows of defeat and scandal, recalling charismatic characters and memorable matches. Among those characters, one of several to have passed through the revolving door marked national coach, is Graham Henry, who was appointed on a salary reputed to have made him the world's highest paid rugby coach in 1998. Henry, who went on to enjoy huge success coaching the All Blacks in his native New Zealand, left the Wales job before the 27-year wait for a Grand Slam ended in 2005 but was nonetheless nicknamed 'The Great Redeemer' after presiding over a run of 11 consecutive wins. Henry's autobiography, Final Word, is published by HarperSport. Away from the world of Welsh rugby, and back on the Lions theme, former Ireland and British and Irish Lions player Stewart McKinney has followed up his popular Voices From the Back of the Bus with another collection of stories, Roars From the Back of the Bus: Rugby Tales of Life With the Lions (Mainstream). Roars From the Back of the Bus was inspired by the number of friends McKinney met at the memorial service for the former England No 8 Andy Ripley in 2010, reminding him of the camaraderie shared by rugby players, particularly on tour and especially on Lions tours. McKinney has taken his research right back to the first Lions tour in 1888 and was granted exclusive access to letters from Alexander Findlater Todd in 1896 and to diaries from 1938 and 1955, unearthing stories about Lions players of the like of Blair Mayne who were war heroes as well as intrepid rugby tourists, and of characters such as Sir Carl Aarvold, who was a Cambridge blue for rugby, president of the Lawn Tennis Association and whose career as a barrister and judge saw him preside over the trial of the Kray twins. McKinney shows that despite today's professional game having changed rugby so much, parallels can still be drawn between more recent tourists such as Jamie Heaslip, Brian O'Driscoll and Joe Worsley and their colourful predecessors. The selection of autobiographies on the Christmas shelves also include those of two Irish legends -- The Bull: My Story, by John Hayes (Simon & Schuster) and The Outsider, by Geordan Murphy (Penguin Ireland). The multi-decorated All Black captain Richie McCaw, the most capped New Zealand player of all time, tells his story in The Real McCaw (Aurum Press). 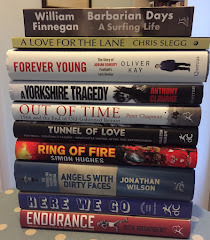 The other big sellers of 2012, both listed in Nielsen Bookscan's top 100, were Engage: The Fall and Rise of Matt Hampson (Simon & Schuster), which was shortlisted for William Hill Sports Book of the Year 2011, and Lewis Moody's Mad Dog: My Life in Rugby (Hodder). For more details and to buy any of the titles above, follow the links below or go to the Rugby Page at the Sports Bookshelf Shop.